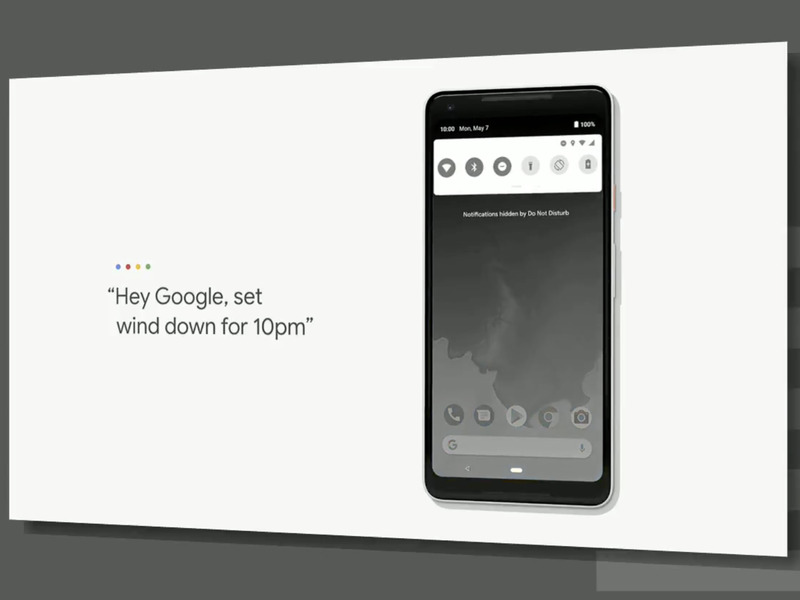 At this week’s Google I/O developer conference , the company unveiled a host of features geared at helping you monitor how frequently you use your devices. It’s all part of a new initiative that the company is calling “Digital Wellbeing” and includes several apps and automatic features. Unfortunately, the scientific underpinnings of the features are thin at best. Google wants you to stop using the term FOMO. Instead of complaining about your fear of missing out, the search engine giant would like you to celebrate – “JOMO,” the joy of missing out. And it hopes a bunch of new features geared at preventing you from feeling addicted to your devices will help. Intended to free Android users from the tether of their smartphones, the strategy includes features that allow users to do things like track the time they spend on social media, block distracting notifications, and make their screens less vibrant around bedtime. But it’s a big question whether the strategy will actually do any good. The features don’t have much basis in science. One of the primary new features in the Digital Wellbeing initiative is called Dashboard. 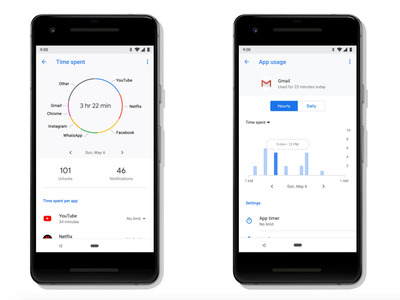 Dashboard shows you how frequently you check your phone or tablet, how much time you spend overall on your devices, and even how much time you spend within individual apps such as Facebook, YouTube, or Instagram. Dashboard appears to be a reaction to the spate of recent stories that suggest that spending time on social media is universally bad for us. Some of those reports have claimed that Facebook and Instagram in particular are making us depressed and even “eroding” our brains. While such claims make for good headlines, there’s little-to-no good research to back them up. Most of the studies that have been done so far suffer from significant shortcomings. Some are looking at too few people to reach conclusions that are statistically significant, while others were conducted by the very companies they’re studying or by researchers with clear agendas, which represent conflicts of interest that can cast doubts on results. Some other studies suggest use of devices may be contributing to an existing problem but don’t establish that they’re causing a problem by themselves. Andrew Przybylski, a senior research fellow at the Oxford Internet Institute, has attempted to replicate some of the studies that suggest a strong tie between social-media use and depression. However, when he used larger sets of people in well-controlled environments, he failed to duplicate their results. Instead, he found either no link or one that was so small, he found it laughable. “It is literally the lowest quality of evidence that you could give that people wouldn’t laugh you out of the room,” Przybylski told Business Insider in March. Last year, Przybylski co-authored a study published in the journal Psychological Science in which he examined the effect of screen-time on a sample of more than 120,000 British teens who used their devices for social media, streaming, and playing games. The data suggested a shocking conclusion: screen-time isn’t harmful for the vast majority of teens. In fact, it’s sometimes helpful – especially when teens are using it for two to four hours per day. “Overall, the evidence indicated that moderate use of digital technology is not intrinsically harmful and may be advantageous,” Przybylski wrote in the paper. 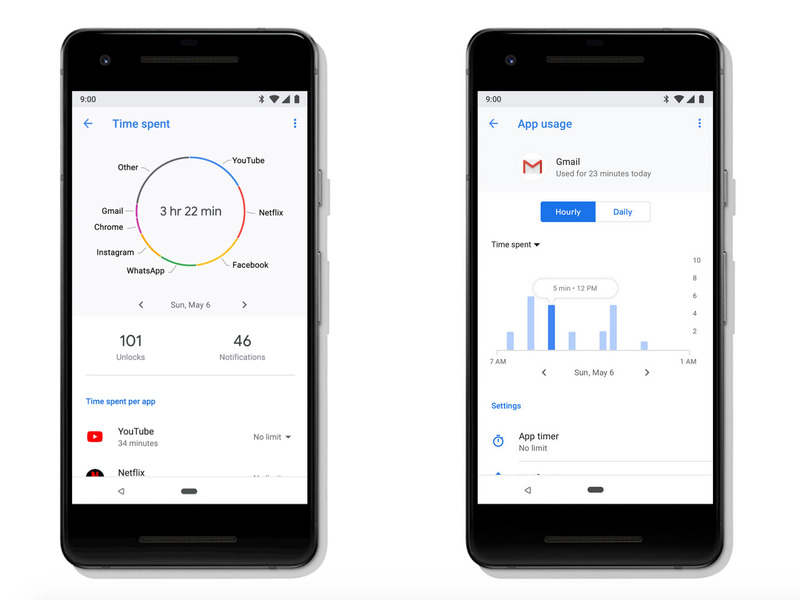 For Dashboard to actually be beneficial, Google or someone else would first need to demonstrate that there’s some type of relationship between our overall wellbeing and how we’re using our devices and apps. Simply showing which apps we’re using and for how long likely isn’t going to do us a lot of good on its own. Another big Digital Wellbeing feature offers an easy way to block notifications. When you place your phone face-down on a surface, it will automatically go into its “do not disturb” mode. The idea behind the new feature is that fewer alerts will mean less anxiety and more tranquility. There is a growing amount of research that hints that getting constantly flooded with a barrage of beeps and flashes reduces our productivity and increases anxiety. No surprise there. But there aren’t any studies that indicate snoozing our devices’ notifications will help us feel better. When researchers have attempted to solve the anxiety problem by muting notifications, it didn’t seem to work. In fact, some people actually felt worse. In a study presented last month at the annual conference of the American Psychological Association, researchers including Duke University behavioural economist Dan Ariely found that people who had the notifications from their devices sent in clusters of several at a time said they felt less stressed and happier than people who received them in the usual way, where they arrive sporadically throughout the day. But the people who got their alerts in clusters also felt less stressed and happier than people who didn’t get any notifications at all. 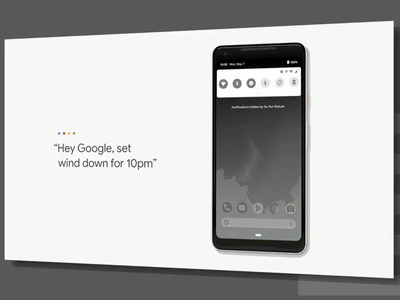 Google designed its other big Digital Wellbeing feature to be used at bedtime. Wind Down drains the colour from your Android device’s screen, so that it displays everything as a shade of grey. The rational behind the feature is similar to that behind Apple’s Night Shift feature, which changes an iPhone’s colour scheme from one tinged with bright blue light to one imbued with orange light. Night Shift is actually based on some scientific research. Blue light, which is also given off by the sun, is nearly the brightest light in the visible spectrum. In humans, blue light depresses the production of melatonin, a key hormone our brains use to tell our bodies to start preparing for sleep. That’s something you don’t want to be doing at night, especially as you’re heading to bed. Unlike Night Shift, though, Wind Down doesn’t have much research behind it. No one has really scientifically studied how removing colour from a display affects users’ attention, productivity, sleep, or mood. All we have are anecdotal reports from a couple of users who’ve willingly experimented on themselves with the feature and claimed it helped them. So feel free to try to find joy in missing out, but don’t rely on a host of new Google apps to do it.